Parenting is a tough job – even beyond the obvious sleepless nights, endless laundry and constant worry. It’s a job made even more difficult by the seemingly never-ending presence of people who want to tell you how you “should be” parenting your child. From your favorite eatery to your own home, they love to share how their children always had good manners, and lecture you for letting your 6-year-old negotiate a later bedtime. Parents don’t want to be told how to parent. That’s just one of several reasons keeping some parents from seeking help or counseling for their child. How do you know which therapist is best for your child? Would a group program be a better option? The best place to start is your child’s guidance counselor. School counselors are a great resource of information. They are aware of available programs in your area, as well as those offered at the school, and may have previous experience with local therapists to help you find the best match. A therapist or group therapy program can run into the thousands of dollars if your child or family attends for several weeks or months. Insurance can help, but for some families with limited policies or high deductibles, the cost can quickly add up, creating even more stress for a family under duress. Making the time to drive to regular appointments, often across town and during rush hour, can turn getting help into a big headache. Arranging for childcare can also be costly, and some families operate with only one car, or none at all, making it even more difficult to find consistent transportation. SNAP®, which stands for STOP NOW AND PLAN, is a cost-free, evidence-based, cognitive-behavioral program designed for children ages 6-11 who are engaging in aggressive, anti-social behavior and/or have come into negative contact with authority figures at school or in the community. Experienced and highly trained staff work with each family to assess challenges and problems and develop an action plan. Session times are held based on the needs of the families and transportation can be arranged if needed. Gender-based group sessions at the Youth Crisis Center’s Jacksonville campus are held once a week for 13 weeks. Additionally, SNAP® has expanded to over 10 schools in the First Coast community, where multiple lessons are integrated into classroom settings for 45-minute sessions. SNAP® services are free through the Department of Juvenile Justice. SNAP® families are fed meals and sibling care is provided at no charge. Transportation can also be arranged as needed at no cost. The parent group that shares effective child management and SNAP® strategies meets at the same time as the children’s group. The group also provides an opportunity to make connections with other parents facing similar challenges. 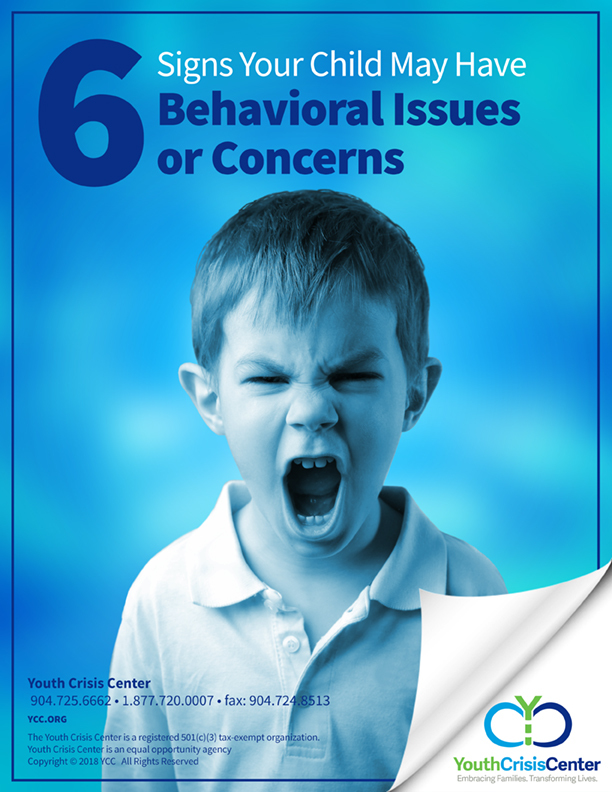 If you think your child is exhibiting problematic behavior and can benefit from the free SNAP® program, click to read more about the “Six Signs Your Child May Have Behavioral Issues or Concerns”. To learn more about SNAP® click HERE.